A walk to Bluewater and Millie met me there and we enjoyed coffee and shared a cinnamon bun at Starbucks. What a great scene inside the crystal! The lensball certainly does give an interesting POV. A super lensball shot - fav! 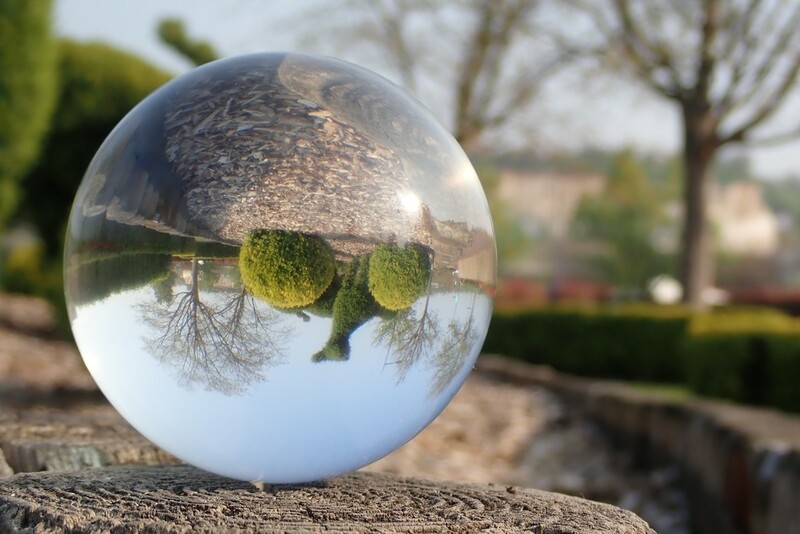 I have been inspired by your lensball photos today but have so much to learn. This is lovely with the topiary in the ball.